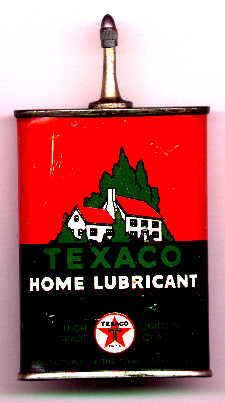 This site is not affiliated with, sponsored or approved by Texaco. 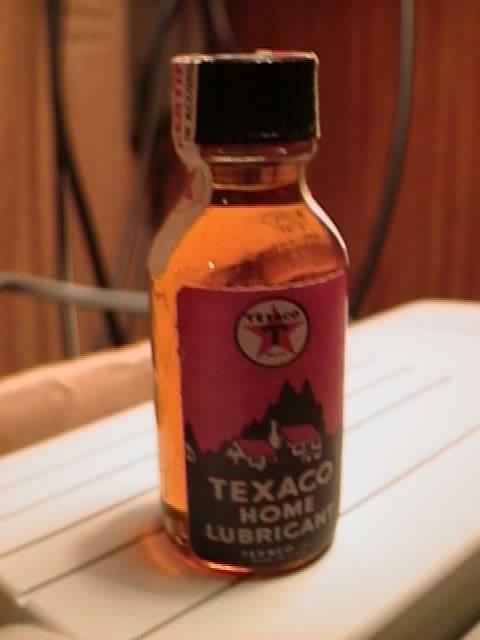 Here's a dandy container someone recently bought on . 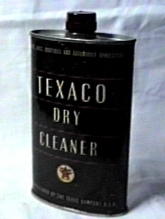 The only problem is that the bottle was determined to be a fake! 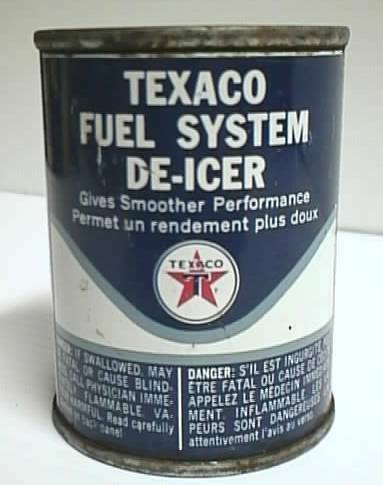 The buyer told me the seller accepted it back and provided a full refund, but this may not always be the case. Every day there are more reproductions for sale, and some, like this one aren't marked. 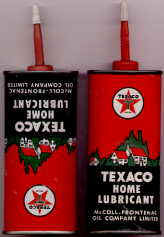 Examples of U.S. Home Lubricant containers. This great display was spotted at Portland Gas. 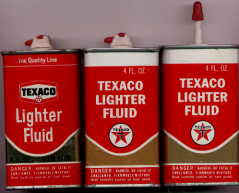 Different labeling for lighter fluid, both U. S. and Canadian. 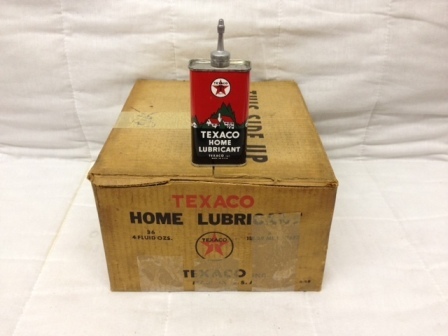 Upper Cylinder Lubricant, both Canadian and U.S. 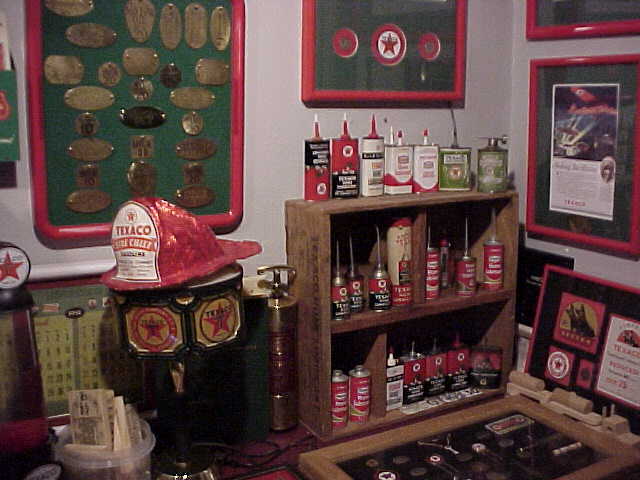 Various other small containers, old and new. 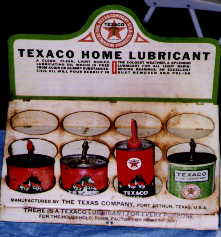 Check out the original wooden crate for Texaco Home Lubricant.